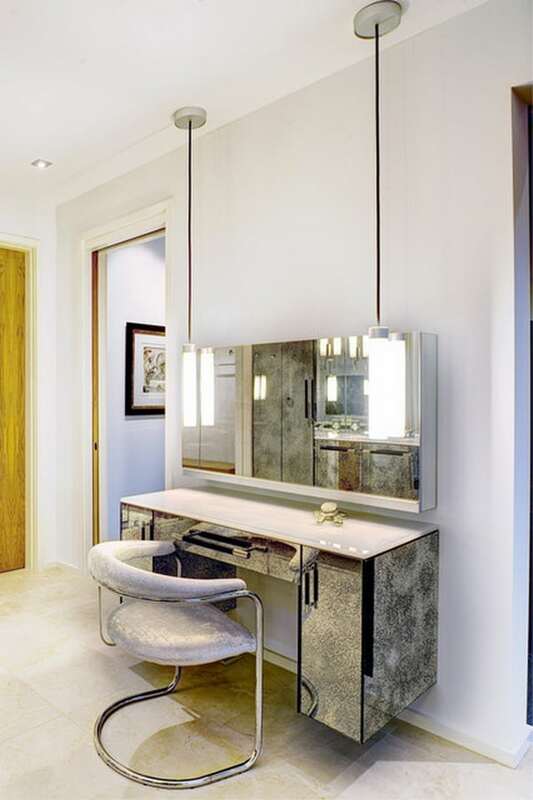 Are you in the midst of transforming your personal space into contemporary designer homes? Or maybe you’re looking for a few specific bits of finish off your vision? Whatever the case, we’ve compiled 5 pieces of modern bedroom furniture design ideas to peek at and knock your socks off. Simplicity and posh appeal fill each of these designs. From beds to dressers, let’s have a look at our favorite finds to suit the interior design of your beautiful homes. Decor Puzzle gave us this peek as a sharp, floating vanity and we fell in love with both the innovation and its design ideas. It fits in the interior decoration of a glam, contemporary bedroom perfectly while providing the function users need. Personalize it atop with some home decor items and accessories!